Snack, ice cream and cold drinks. 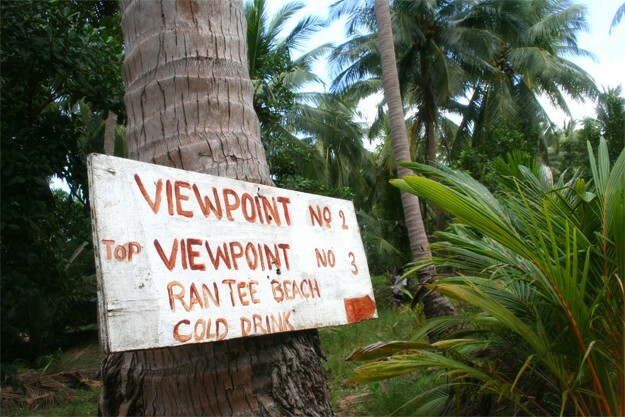 Located at Viewpoint overlooking the island of Phi Phi. Signposted from Ton Sai Village (just follow "Tsunami Evacuation Route"). Allow a half-hour walk, quite challenging. Phi Phi viewpoint is probably the most beautiful spot on the island for a drink, but you have to earn it. 20 minutes of steep climb are required to reach this small hut at the top of the hill, a succession of staircases and paved roads (these steps are high !). 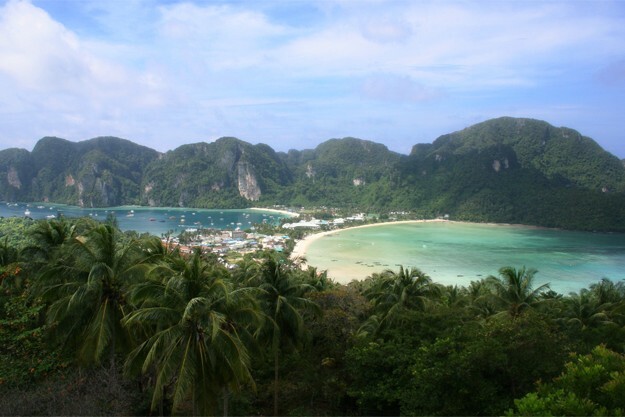 Once Up there, the view of Phi Phi Island is breathtaking. You can buy soft drinks and some snacks. 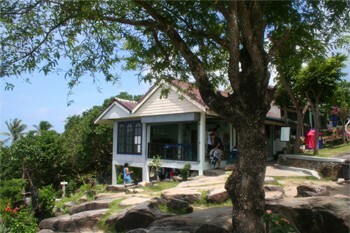 The hut is surrounded by a beautiful garden, maintained by the owners of the bar. 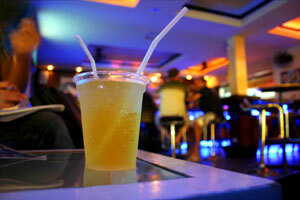 Remember to leave some Baht in the box provided for the maintenance of this tropical paradise. The best time to come here is at the very end of the day. Wait until the sun goes behind the mountains. But beware of walking back to the village at night. Caution: On the trail to Viewpoint, do not touch those big brown worms, they are dangerous!